Evolution Gaming have released another variation of the popular Baccarat Squeeze, Baccarat Controlled Squeeze. They are not the first to implement this functionality but of the ones I’ve seen this is probably the best & easiest to use. 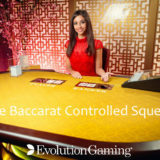 Rather than having the dealer squeeze the cards, players are now able to squeeze them for themselves which is very much in line with how the game is played in land based casinos. The only difference is that all players can squeeze the cards where traditionally the player that has bet the highest for the hand has had that honour. 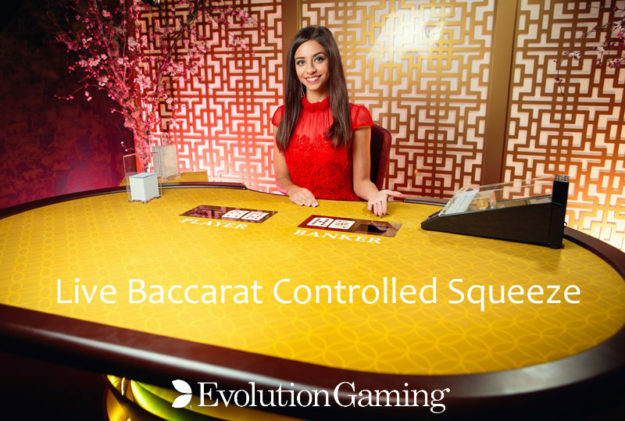 The Baccarat Controlled Squeeze table has been modified to enable players to perform the squeeze themselves. 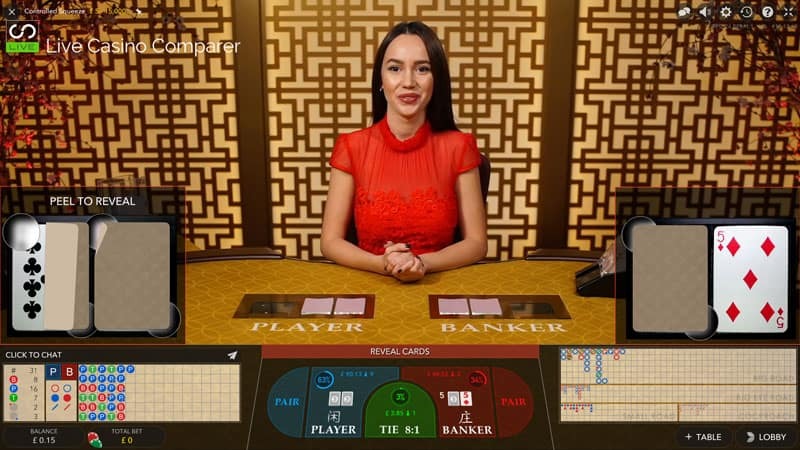 Two cameras have been integrated under the table and they relay the live stream of the card faces to the playing interface. Both sets of cards are displayed on the screen but are obscured by a frosted filter and an interactive peel-back overlay. To view the cards you just use your mouse or pointer to click or tap the corner of the card and peel the overlay away to reveal the cards value. If you can’t be bothered to do that then just clicking on the card will reveal it instantly. The squeeze is time boxed so you have to be relatively quick if you want to view all the cards. What I particularly like about the playing interface is you can practice your squeeze without having to play the hand. Leo Vegas have the game if you want to have a look or checkout my list of Evolution Live Casinos for more options. 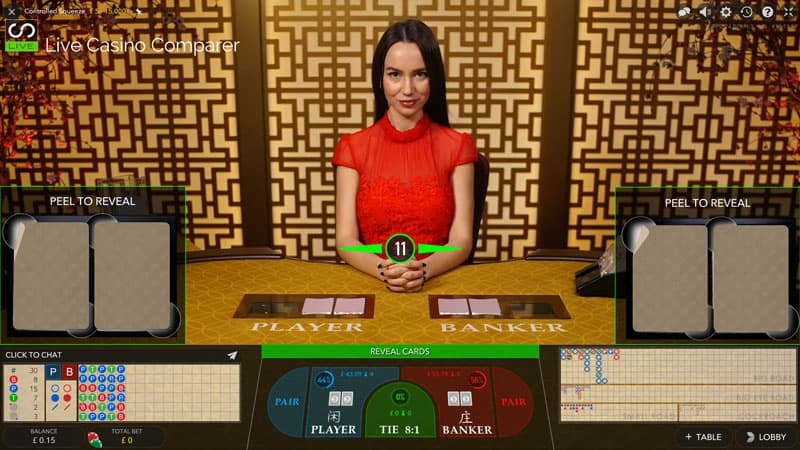 This version of the game can be played on Desktop, Tablet and Smartphone.